And these beauties are the finished product! Anyway, more about these cookies/cupcakes...I saw them in Martha Stewart's Cupcake book last month and knew that I had to make them. The cuteness was irresistible. I have a major weakness for aesthetically pleasing food. And since the cupcake-shaped Sugar Cookie Pops I made last month turned out to be such a big hit, I knew these would be awesome! I'm not going to go into a lot of detail on how to make these because I already featured them in the cupcake-shaped pops entry. You can reference it for tips and step by step photos. Just make sure your flower cookie cutter isn't too big. Something around 2-3 inches in diameter would be perfect. And get the 6 inch lollipop sticks. Decorating these was really fun! I picked out three colors: white, pink, and yellow. Perfect shades for spring! I outlined them in white and used yellow for the centers. Then I very carefully filled in the pink petals. Allow the icing to dry. Let the cookies sit uncovered for about 24 hours. These were really easy to do. All you need is some gum paste, a small leaf-shaped cookie cutter, and green food coloring. Color your gum paste and roll it out. If your gum paste it too sticky, you can use corn starch to dust the surface of your work area. And there you have it! Easy peasy. Use your favorite cupcake recipe. Chocolate cupcakes would be awesome too! In retrospect, chocolate probably would've been better, huh? hehe. Oh, well. Maybe next time. And use whatever frosting you like! What about cute liners? Maybe green polka-dotted ones! My point is: you can get super creative with these! Go wild! For the frosting, I used Wilton's grass tip. Here's a good tutorial on how to pipe it. I thought it was going to be way hard, but it actually turned out to be quite intuitive! You'll know what to do when the time comes. hehe. I didn't like for the grass to be super uniformed. So instead of pulling straight up, I pulled every which way, to make it look more real. Because grass never just grows straight up, you know? It's more like "artistically messy," I'd say. No explanation needed, really. Stick the cookies in the middle of the cupcakes, then add leafs. Some of them had one, some had two. I'm very unpredictable like that. Wouldn't these be cute for a baby shower? Those are so cute and perfect for spring!! Love the gumpaste leaves and you reminded me that I need to buy a grass tip. :) Oh and I am definitely going to try that glacé icing recipe - I am just not a fan of royal icing (cement). Thank you Judy! You are an artist! These are really beautiful! Absolutely adorable and a perfectly delicious way to welcome Spring. Super adorable cupcakes! Love, love, the cookie pop flowers! Oh. My. Gosh. 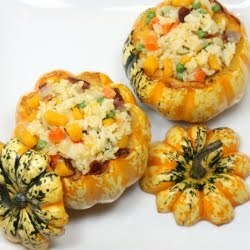 I want to make these NOW! I may have to find a reason to take cupcakes to my daughter's class. Though, really, does anyone really NEED a reason to make cupcakes? This is so amazing!! They are so darn adorable that I'm going to repost this on my blog! wow, these are just too awesome for words! Love it! These are really pretty, adorable actually. Thanks for posting. Wow! I'm doing an event with Spring Time as the theme next week and I'll just have to make these! What a great way to celebrate Spring! Super cute Judy! Those are so incredibly adorable! I love them. And you get a cupcake AND a cookie. How wonderful! These are just darling, Judy! You keep inspiring me with new ideas for presenting sweets. Oh and I'm completely jealous of that gorgeous Cali weather =D. Oh my goodness, what could be better than the cutest cupcakes topped with the cutest cookies ever??? ADORABLE!!!! hi,i want to know how you make the icing cookies.